Last April and May, Nick and Lauren Goebel of Goebel Media Group taught an excellent class on Website Basics at the Knight Community Innovation Center. 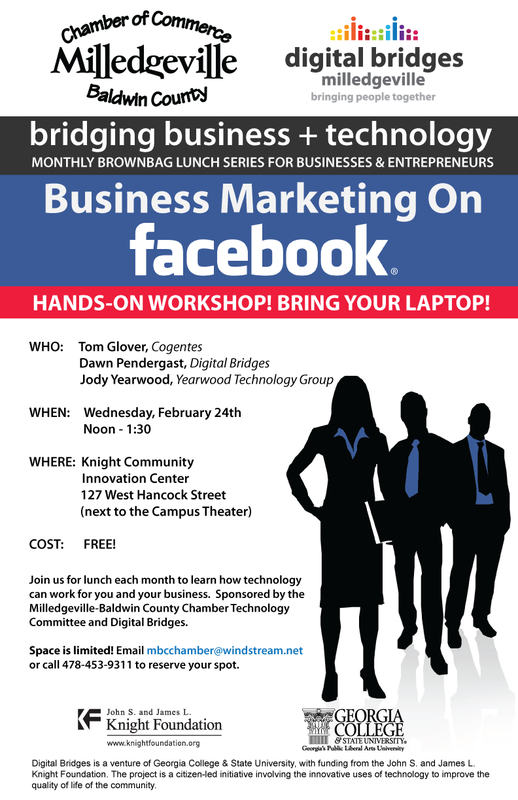 They volunteered their time to help Milledgeville businesses understand how their website (or lack of a website) could be impacting their bottom line! 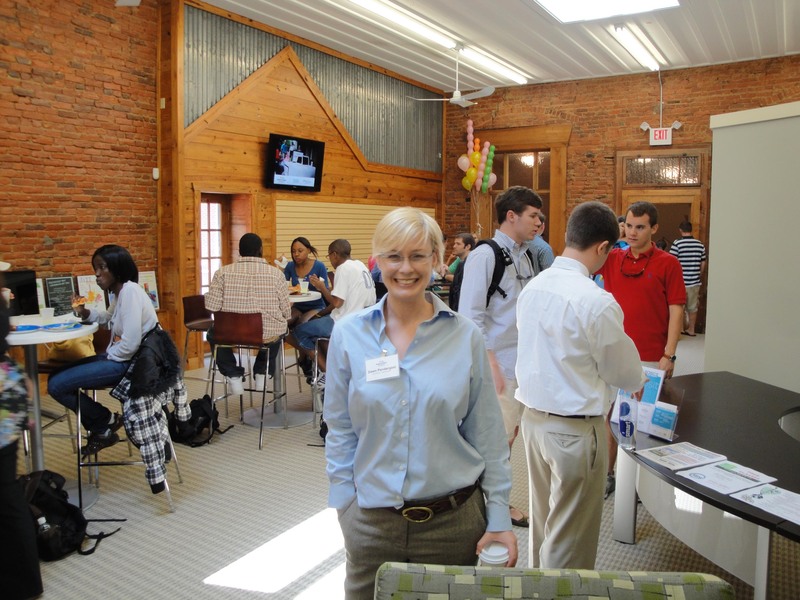 Digital Bridge’s Knight Community Innovation Center opened its doors to the public on April 21st 2010. And almost everyone came. I put up this gallery to remember all the people that I met in Milledgeville, for better/worse. 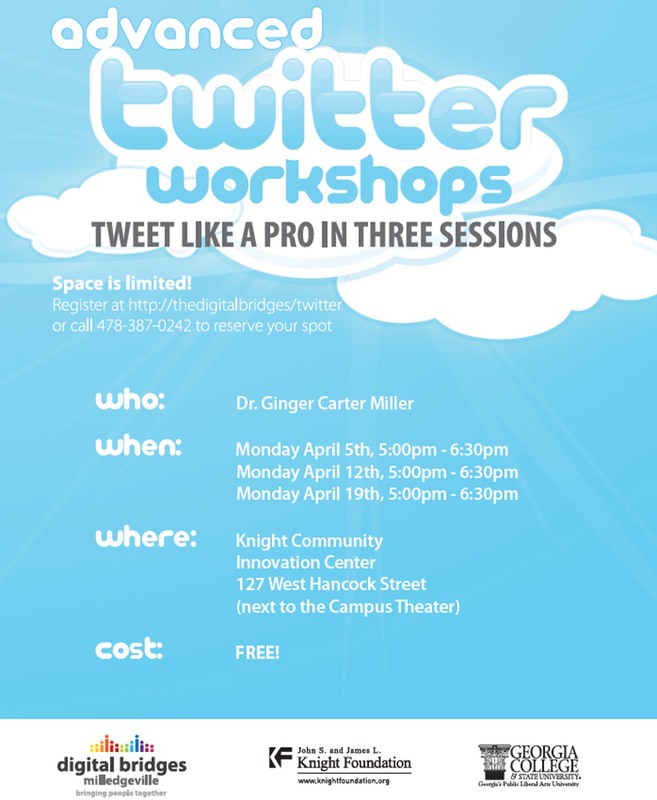 Digital Bridges teamed up with Georgia College & State University Professor of Mass Communication, Dr. Ginger Carter Miller, to offer a three-part Advanced Twitter Workshop to get the Ville tweeting like a pro. While we didn’t get the attendance we were hoping for, it was a cozy class and tons of fun. 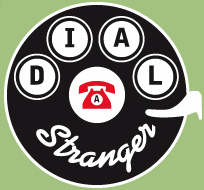 Jimmy Lo gave my name and phone number to Dial-A-Stranger. I’m on Episode 92 if you’d like to listen to my trials and tribulations in Milledgeville Ga. It’s a little depressing, but I don’t think I lied about anything–which makes me sort of proud. 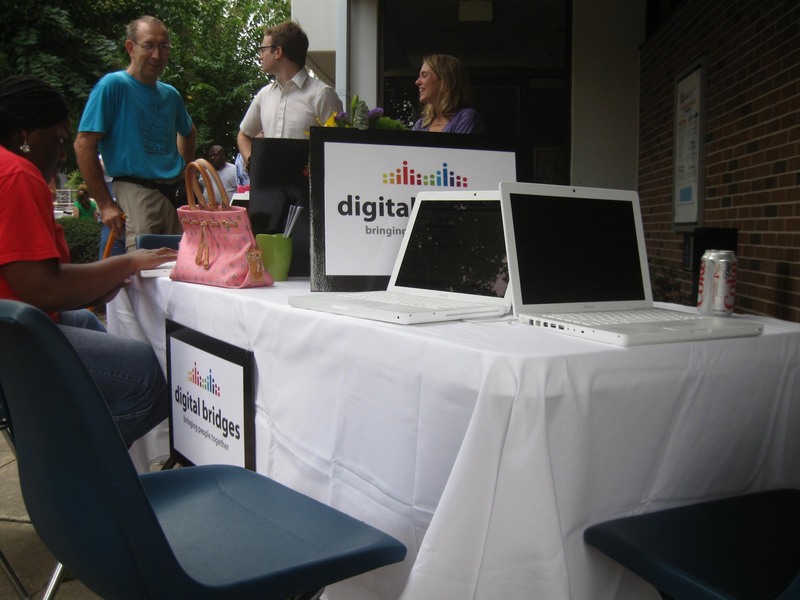 Digital Bridges held a lot of events in September and October of 2009. Since the Innovation Center was being renovated (I didn’t even have an office) – there wasn’t much left to do but go to community events. I gave away a LOT of candy in those two months! 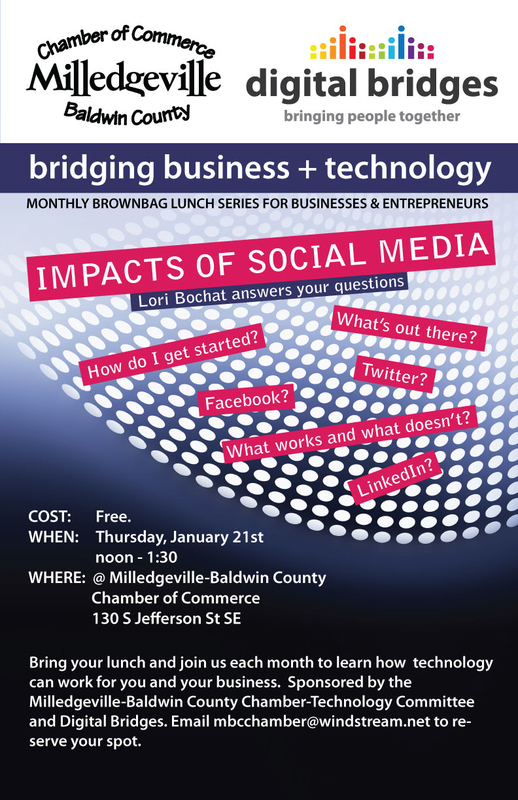 Digital Bridges is a Community Initiative in Milledgeville Georgia to address the digital divide in rural communities. 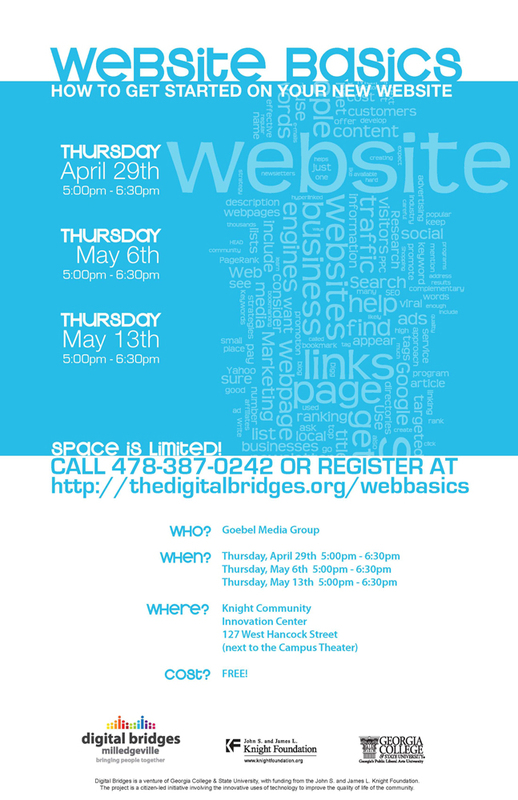 This was our first official “Digital Bridges” event. Little did I know I was looking down the rabbit hole.